Women in Horror Month – February – See who’s who! Hello and Happy Monday! This glorious morning, I want to address the theme of this month: Women in Horror! Check out the link below to see who Sam Gregory has interviewed and blogged about! You will get to know some incredible female authors such as Roma Gray, Kelley Armstrong, Kat Gracey, T M Scott, S K Gregory, Eden Royce, Charlaine Harris, Alessia Giacomi, myself (Sharon L. Higa), and a slew of other supernaturally talented, mind-grabbing, terrifying lady writers of the horror genre! So grab your laptop or keyboard, go to Sam’s website/blog posts, and I’m sure you will be able to find at least two women of horror whom you can add to your To Read lists! 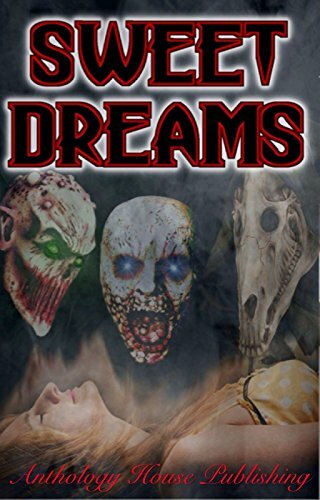 A new anthology released on ebook from Anthology House Publishing and Jacky L Lane! A new anthology which will only add to your nightmares -in a delightfully horrific, spine-tingling way! On ebook now, I recommend you grab this little antho of nightmarish gems. Just remember to leave the lights on when you’re done! Women in Horror Month has arrived! February 1 at 10:14am – Come join us for the whole month of February! Get to know some awesome female horror writers, or see what your current favorite ladies of horror are digging up and publishing for the terror-loving world to see! Don’t miss out on the chills, thrills and general mayhem we girls are going to bring forth! See you on the scream side!